A spinal cord injury's impact on the body goes beyond paralysis, researchers say. 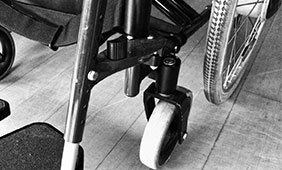 Although paralysis is the most noticeable result of a spinal cord injury, a new study by researchers at The University of Texas at Austin suggests such injuries could throw off the internal clock of the entire body’s daily activities, from hormones to sleep-wake schedules. This new work shows that spinal cord injury disrupts several intermediate factors, which throws off rhythms of other clocks throughout the body. Image courtesy of Andrew Gaudet.